My heart and I have worked hard to develop a strong and trusting relationship. Paulo Coelho spoke of the importance of the friendship with one’s heart in The Alchemist (1988). I have read this book several times, at least 6 or 7, and I know I’ll pick it up again in the future, I think it’s a beautiful story and it has gotten me and my heart through some difficult times. What I have discovered is that my heart yearns for peace, and I feel a great contentment when I take time to totally zen out. Since truly listening to my heart and heeding to her wants, I’ve felt much more aware, unafraid and peaceful. I do many things to cultivate peace throughout my days- I walk (when I can,) knit, sew, write, listen to the sounds of nature, or native flute music, I TRY not to rush into a frenzy when I am caught off guard, upset or frightened. I try to remain patient with my children, with myself, my circumstances when they are strenuous, and with the world around me. This can be difficult obviously, because I am a person and as a person I have feelings, and those aren’t easily controlled. 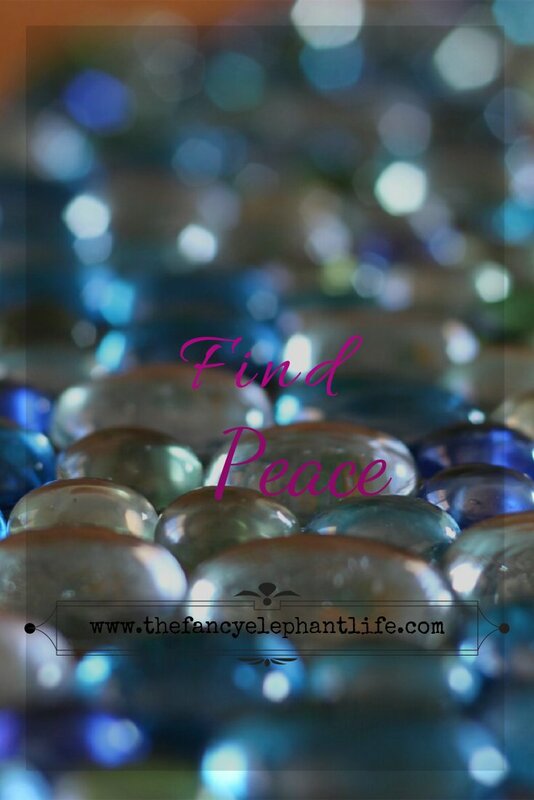 I am, however, driven to find and nurture a peacefulness in my heart, for my heart, and for my lovely daughters, husband and dogs, and really anyone and everyone else who deals with me on a regular basis (my mama knows what I am talking about here.) When I am out of balance I tend to get nervous, feel worried, become preoccupied by things (often things I can’t change,) I get snappy and short tempered, disconnected with those around me and I find myself especially interested in potato chips and milano cookies. So, how can I achieve and keep balance? How can I engage with my babies? How can I keep my energy up? How can I truly enjoy the gorgeous natural world filled with spectacular beings who live among us in the form of animals, plants and people? I have to listen to my heart, and most importantly, follow her instruction- she always guides me back to meditation and then there is a welcomed return of inner calm. I know that we live in a world that is ever changing, that can feel overwhelming, scary, loud and dirty. But there is another reality, one that is right here at our fingertips, one that is quiet, loving, funny, lighthearted, inspiring, exciting, gentle, kind, trustworthy, clean and brave. If that is the reality I wish for my children and for all of those I love, I must- MUST- be willing to work to provide such a reality. Mahatma Gandhi famously said “Be the change you wish to see in the world.” He knew of the reality I seek- he knew of the change I strive to be. I know my heart has guided my choices with care throughout my life. She has stayed by my side, even when I have not listened to her. She has given me time to hear her, and she has dutifully healed herself when I have broken her. Through the challenges and joys, she has been my faithful friend and I owe her my trust. As I proceed forward through time and space with caution and optimism, I will not doubt my heart’s guidance. I will write out my blessings. I will walk on the earth and breathe the fresh air. I will cherish the living beings that are my companions. I will tell my truth. I will laugh. I will enjoy my children, my husband, and our dogs. I will keep my home clean. I will prepare good food. I will talk with my mother and my father. I will remember the power I hold to shape my experience of this life, and I will teach my children of this gift. I will choose my heart’s peace, over and over again. Thank you, Hope. This is so uplifting. I have let my home become uncomfortably cluttered. Yesterday I cleaned and rearranged the bedroom to make space for yoga. It feels good and looks more inviting.